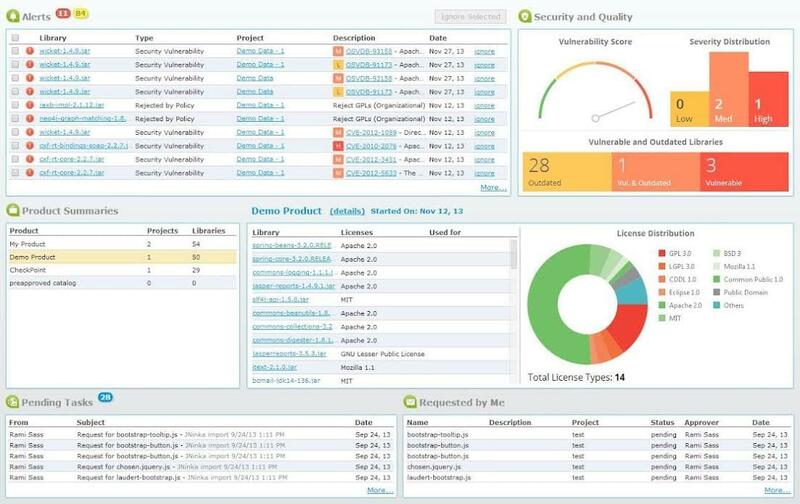 WhiteSource can save software engineering managers precious time in tracking and managing their open source usage by automatically identifying open source components and generating immediate reports on open source licenses, security vulnerabilities and more. WhiteSource integrates with your build process and identifies all your open source components every time you run your build. It then generates full, accurate reports on licenses, security and more. It does this day-in and day-out, thus providing real-time alerts on problematic components to help you fix issues as early as possible. WhiteSource is a SaaS, affordable solution that enables engineering managers to have full control over the open source in their code. Want to learn more? Got questions? Call, click, or email to speak with an unbiased Technology Advisor for a no-cost, no-obligation consultation on your unique requirements. Learn everything you need to know about WhiteSource. Our experts will reach out to you shortly.